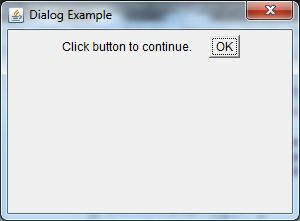 The Dialog control represents a top level window with a border and a title used to take some form of input from the user. It inherits the Window class. Unlike Frame, it doesn't have maximize and minimize buttons. Frame and Dialog both inherits Window class. Frame has maximize and minimize buttons but Dialog doesn't have.